If you have yet to share in the wonder that is Journey now is the time! Or if you just want to relive the experience it’s incredibly emotional time and time again! I love Journey. I do. 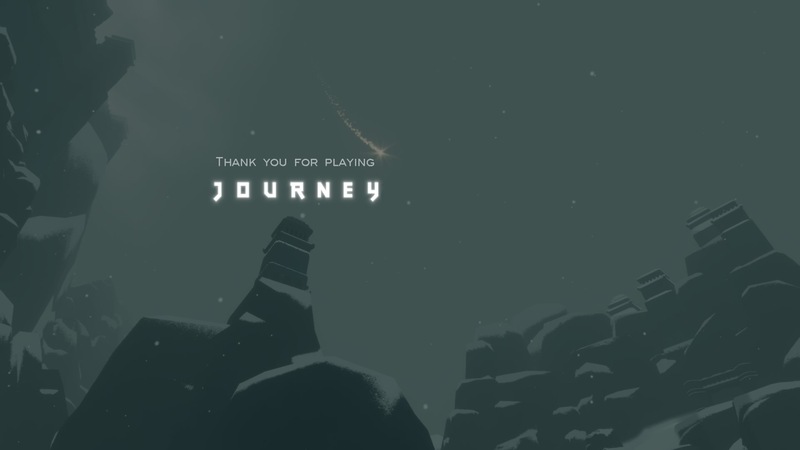 From playing it time and time again when it first released to sleeping to the OST, Journey has a special place in my heart. There is no game that I have hapilly gone back to just to play with beginners. There is something satisfying about being a white cape and watching the little ‘redders’ experience the wonder for the first time! Literally everything? 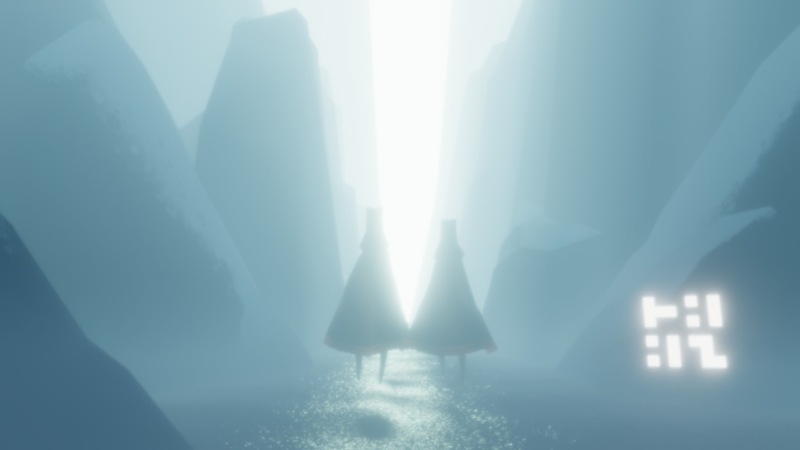 Journey is one of my favourite games of all time. I like that the story is developed but not in your face. If you were flying through the game you might not have even realised that it had one. After paying close attention to the cut scenes you start to understand what is happening and it’s awfully sad. The first time I beat the game I immediately jumped on the internet and looked to see if people had the same understanding of the conflict that I did. I also love the soundtrack. Which isn’t a surprising considering Flower’s was also quite lovely. When I can’t sleep I listen to the OST and I am always asleep by the end of it. Austin Wintory did a fantastic job of conveying emotion through the music. From the first note of ‘Nascence’ you know that you are in for an emotional ride. The online component is amazing. I went in the first time not knowing that I was going to be playing with other people. At first I thought they were AI until I realised that they were too fluid to be. It isn’t compulsory. You can just do your own thing or choose to work together. You can lead the other person to glyphs or you can sit back and see what they do. In my PS4 play through I believe that in a segment of the game the player I was with was new to the game. I wanted a trophy for meditating with another player and I constantly signalled for them to come meditate with me but they wouldn’t. I wanted to leave them after that but I already felt compelled to stay. Too bad I lost them in the end. Just knowing that there is a real person on the other end is enough to make me want to stick together and play with them. Regardless of how good or bad they are. 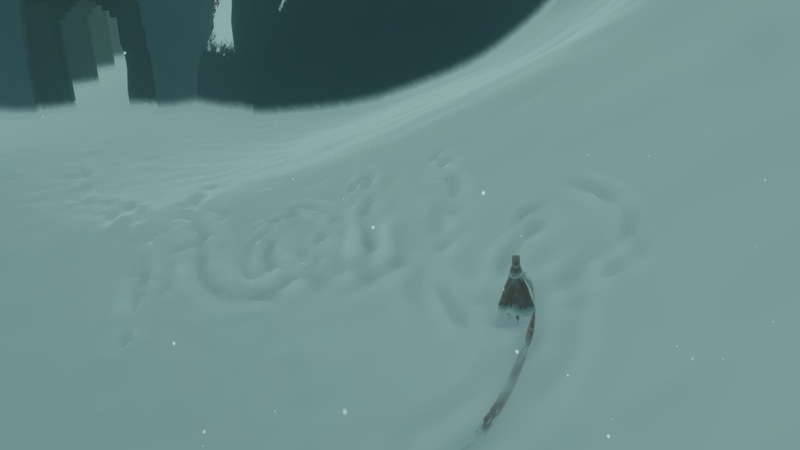 If I am hunting for glyphs and they are not. We go on this Journey together. I guess sometimes the fact that you can’t talk to the other player is annoying. Most of the time it adds to the charm but there were so many times during my PS4 play through where I wanted to yell “Oi this way” or “Just sit and meditate with me for ten seconds!” and all I could do was spam my signal. To be fair that is more of a player flaw that the game itself. Maybe I just came into the game expecting the same sort of runs I had very late into the PS3 Journey life cycle. Most of those players were white capes though so that is probably asking too much. On a bit of a tangent I don’t like that only the people who pre ordered the game (or purchased) have access to the dynamic theme. I want it so badly! Apparently they are looking into rectifying this for cross buyers. I sure hope so. 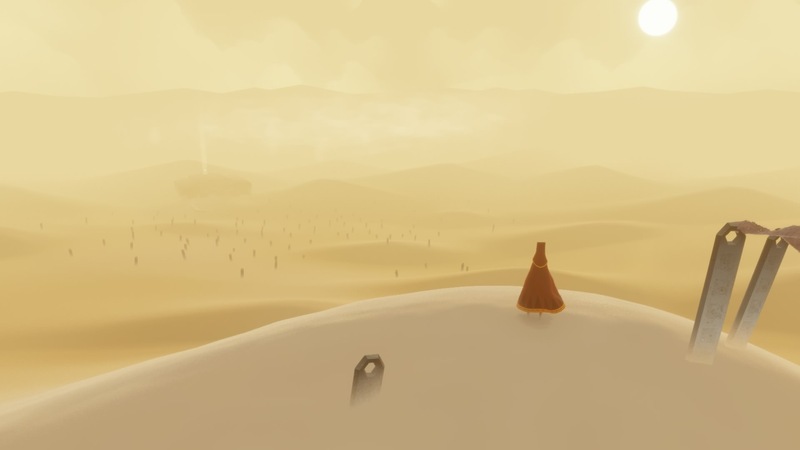 Overall I enjoyed getting back into Journey. I will play it again on the weekend and 100% it a second time. Hopefully I can find a great player to play with from start to finish. On the PS3 I actually entered the level at the exact same time as a friend and we went through it together. I wonder if I know anyone who has the PS4 version. Anyway if you have been sitting on the fence.. GET OFF IT. 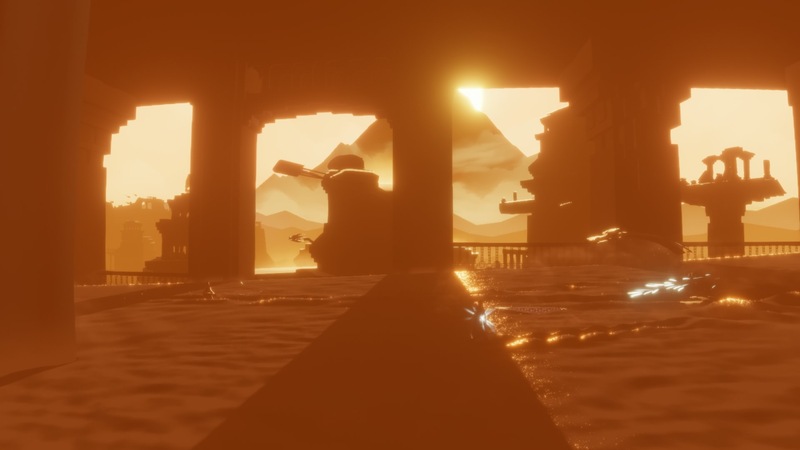 Journey is an amazing experience. The game may be a bit on the shorter side however it makes up for it with the amazing experience it provides. 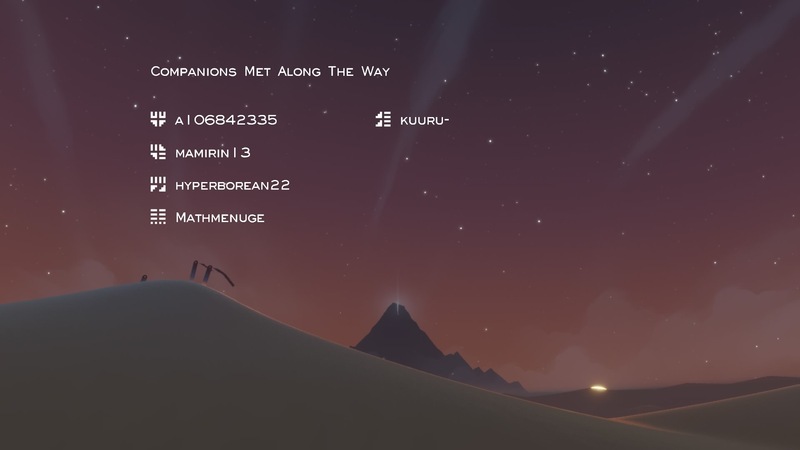 The emotions you feel as you explore the beautiful environments with or without a companion. Unlocking the secrets hidden in the land and then realising what your Journey is all about are worth it. If I didn’t get the PS4 version for free thanks to Cross Buy.. I would have paid for it again. Thank you to everyone I met on my Journey. Sorry if you didn’t know what I wanted when I signalled for you to sit down with me. Hopefully you find someone to meditate with in the future..
← [BLOG] Sisterhood of the World Bloggers Award.